Hiking in Tucson is a part of many Tucson residents and visitors actives. The five mountain ranges surrounding Tucson have created an infinite array of trails for Tucson hikes. Most of the mountain ranges are protected as city and state parks, national forest, or national park. This has protected the landscape and allowed Tucson hiking trails to preserved and cherished. Within these public areas are hundreds of miles of trails suited for hiking in Tucson. Trails offer a convenient access to the unspoiled natural beauty of the area. Landscapes vary from cacti-covered slopes to pine-topped mountain ranges. This makes hiking in Tucson an option for every seasons. The rugged Santa Catalina Mountains in Coronado National Forest happen to be Tucson’s most distinguished range. These mountains also have the highest average elevation. The highest point is Mt. Lemmon at 9,147 feet. Mt. Lemmon has the distinction of being southernmost ski destination in the United States. Undertaking one of the Tucson hiking trails from the Tucson valley to Mt. Lemmon takes you from 2,000 to about 9,000 feet. The scenery experienced on these Tucson hikes resembles a journey from the Mexican to the Canadian border. Situated on Tucson’s east side is the Rincon Mountain Wilderness Area of Coronado National Forest. The more popular way to enjoy the Rincons is in Saguaro National Park East. The location offers countless trails for hiking in Tucson. Two of the Tucson hiking trails are located at Colossal Cave Mountain Park. Colossal Cave is a huge subterranean maze and one of the biggest dry caves in the world. On Tucson’s far south side are the scenic Santa Rita Mountains. This area is an important habitat for many species of birds, reptiles, amphibians, bees, and plants in Coronado National Forest. The Santa Rita Mountains are also world-famous for bird watching in Madera Canyon. The lower canyon provides Tucson hiking on paths that are paved, handicap-accessible and suited for gentle walking. The higher locations are steep and provides expert trails leading to the top of 9,453-foot Mt. Wrightson. This is the highest point in the range and the highest point in the Tucson area. Most of the Tucson Mountains are located in Saguaro National Park West. Hiking in Tucson on the west side offers panoramic views of saguaros forests dotting the jagged mountainsides. Another popular visitor spot in this area are the Old Tucson studios. The studios have been the setting for literally hundreds of western movies and TV shows. Nearby is the renowned Arizona Sonora Desert Museum. The museum provides exhibits of the area’s plants and wildlife in a natural setting. The Tortolita Mountains border the northwest edge of the Tucson valley. The Tortolita Mountain are a back drop for many residents of the towns of Oro Valley and Marana. These are the smallest of Tucson’s five mountain ranges. Tucson hiking trails in the Tortolita Mountains is fantastic. The Tortolitas features rugged peaks, gullies and canyons with rocky soil and vast stands of cacti. Located here is Honeybee Canyon. Honeybee is a riparian area with one of Pima County’s only perennial streams. Much of the mountain range is protected land within the Tortolita Mountain Park. Hiking in Tucson is an perfect way to discover the varied landscapes and diverse wiildlife of Tucson and Southern Arizona. 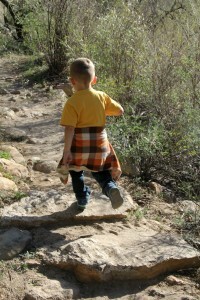 There are many vaired hiking trails throughout the Tucson area. From urban recreational trails, bird-watching trails, canyon trails, summit trails, flat trails, and steep climbs. Whether you’re new to exploring nature or are an avid outdoor adventure-seeker there is a Tucson hiking trail for you. Urban Trails offer hiking in Tucson without venturing into the mountainous areas. It is a convenient way to bond with nature and easily get back for a custard at Culvers. The Loop is 55-miles of car-free paths being developed around Tucson. These paths also link to paths in Marana and Oro Valley. While many use these convenient for hiking in Tucson they are also made for bicycles, skates and horses. If it does not have an engine, it’s good to go on The Loop. This 11-mile trail for hiking in Tucson winds through the city along the Rillito Riverbed from North Craycroft Road. This Tucson hiking trail extends almost all the way to Interstate 10. Entry is open at numerous points along the way. Tucson hikes on the Santa Cruz River Park Trail goes along the banks of the Santa Cruz Riverbed, west of downtown Tucson. This Tucson hiking trail is flat and paved. This may be one of the easiest hiking trails in Tucson. Starting at Grant Road and proceeding to 29th Street. This Tucson hiking trail includes a section of the Anza National Historic Trail. Southern Arizona covers the northern part of the Sonoran Desert and the northwestern tip of the Chihuahuan Desert. This area stretches from Picacho Peak, south to the Mexican border, west to Ajo, and east to the New Mexico state border. Considering a move to Tucson or planning for that future place to retire to? We can help.